Home Youth and Reserve Team Latest News FA YOUTH CUP FINAL PREVIEW PART TWO – THE FUTURE OF CHELSEA? FA YOUTH CUP FINAL PREVIEW PART TWO – THE FUTURE OF CHELSEA? The FA Youth Cup is widely revered as one of the most prestigious youth competitions in all of football. That’s not just an opinion held by the ego-centric English, but one proffered by a number of foreigners who have experienced it, be it at a playing, managerial, or administrative level. 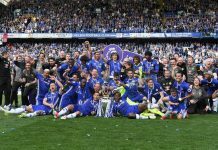 For the second time in three years, Chelsea will take centre stage in their pursuit of academy glory, as they look to seal the trophy for the first time since 1961. Of course, they had the opportunity two years ago, but fell short at the final hurdle when Manchester City trumped them 4-2 on aggregate over the two legs. That marked a zenith at the time for a youth system which had received a wealth of investment in the preceding two years, but this year could be an even greater indicator of where the Chelsea academy now lies. Against the Citizens in 2008, Chelsea lined up with nine starters acquired from other clubs, leaving just Rhys Taylor and Nana Ofori-Twumasi as locally-sourced talent. However they came to be at the club, though, five starters have appeared for the senior first team, with three – Gael Kakuta, Jeffrey Bruma, and Patrick van Aanholt – tabbed just last week by Carlo Ancelotti as members of next season’s first team squad. It was quite the talented squad, even if the fruits of their work are still well ahead of them. Miroslav Stoch is a win away from becoming a Dutch champion and could feature at this summer’s World Cup Finals in South Africa, whilst substitute Frank Nouble – then a schoolboy – has moved on to West Ham United and occasional first-team football at Upton Park. On the other side, Dedryck Boyata, Ryan McGivern and Vladimir Weiss have made appearances for Manchester City’s first team, with the latter pair both internationals and Weiss set to join Stoch in Slovakia’s squad. However, it remains far more prudent to judge the development of players over a five year period at a bare minimum, which still gives these players some time to progress. Looking back to 2005, when Liverpool beat Manchester City, the defeated outfit that year featured Micah Richards, Michael Johnson, Ched Evans, Kelvin Etuhu and Daniel Sturridge, all of whom have gone onto relative successes early in their careers. Not one of Liverpool’s squad have achieved such accolades, with the majority of action coming in the lower leagues. The point of these analyses, if any, is to show that being in the Final of such a competition doesn’t necessarily guarantee that an academy is in good shape, nor does it mean that a club which falls short in the competition is doomed to years of poor development. For Chelsea, approaching five years since Frank Arnesen was hired and Roman Abramovich began to look towards improving the existing setup, this year is certainly one worth marking down as important. A full look at both squads will follow in the coming days, but Chelsea are once again set to start with a host of players acquired from elsewhere. Billy Clifford, Daniel Mills Pappoe, Josh McEachran and Aziz Deen-Conteh are likely to be the club’s own representatives, with the substitutes bench mirroring that of 2008 in featuring a smattering of players who have grown up with the club. Some disagree with the approach, others embrace it, but the reality of the situation is that success isn’t given to those who wait for it. If the club feels that, of the 75% of youngsters in the club’s academy that are English, the majority aren’t going to be good enough long term, then why not source the best of the rest? Manchester United, Arsenal, Tottenham, West Ham, Liverpool to a comical level – the majority of clubs are following suit – which raises big questions about the long-term future of English talent. That’s a debate for another time, however. Chelsea reached this stage by eliminating Charlton Athletic, Nottingham Forest, Portsmouth, Watford and Blackburn Rovers, conceding just one goal along the way, a deflected effort coming in stoppage time at The Valley. At the start of the tournament I suggested that the firepower was there to score in bountiful numbers, but the defence was going to be key to their hopes of progression. Sixteen goals have followed, with Marko Mitrovic leading the way with a treble of strikes. A clutch of players are just behind him with a pair – Jeffrey Bruma, Conor Clifford and Jacopo Sala – and there really are goals everywhere in this side. Opponents Aston Villa knocked off Rochdale, West Brom, Milwall, Fulham and Newcastle to reach their first final in eight years, and, not unlike the side which Chelsea beat at the Semi Final stage in 2008, will be a tough proposition. They have had a good season in Academy League Group B, only sitting third because of superb seasons by both Tottenham and Leicester City, and have a remarkable depth to their squad. A plethora of striking options showed itself in a recent 10-0 league win over MK Dons, whilst they have one of the best teenage goalkeepers in the world backstopping a tight defensive unit. The loss of captain and inspirational goalscoring midfielder Gary Gardner will be felt hugely, but they are definitely capable of winning this tie. The first leg of the 2009/10 FA Youth Cup Final takes place at Villa Park on Thursday 29th April at Villa Park, with a 7.30pm kickoff. Tickets are available by contacting the club directly, and live TV coverage is currently restricted to Chelsea TV. 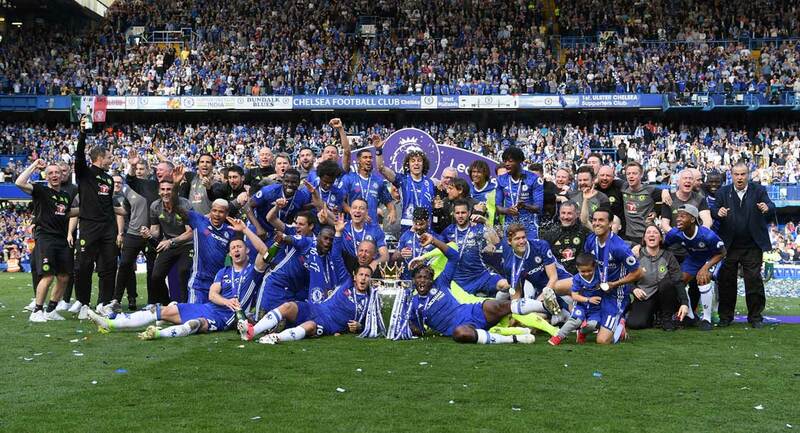 The second leg will be played at Stamford Bridge on Tuesday 4th May at 7.45pm. Tickets are on sale now via the box office and online sales at £3 per person (£1 concessions) and with the East Lower apparently sold out, seats are now available in the Matthew Harding Lower. Come along and support the boys in the hunt for the first Chelsea trophy of the season, and hopefully the first of three in a fortnight.